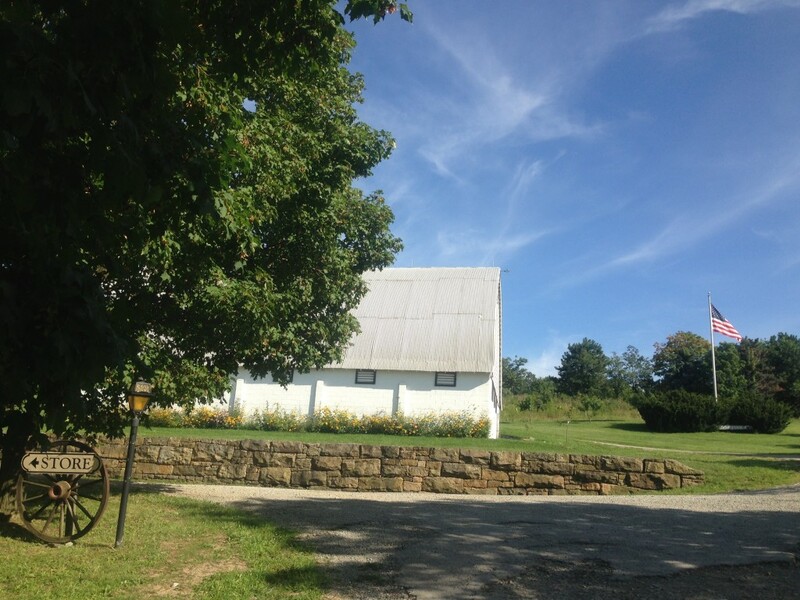 Friendship Farms is located in the Laurel Highlands near Latrobe, Pennsylvania. Situated at the base of the Chestnut Ridge, the farm encompasses three hundred seventy-five acres of rolling meadows of organically grown hay and pasture bordered by woodlots and streams. 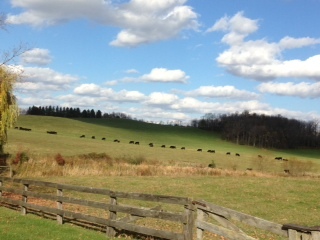 It is home to a herd of angus cattle and an abundance of wildlife. Like most farms, it is a diverse operation. In addition to cattle, there is an orchard, vegetable plot and a nursery featuring trees, shrubs, grasses and wildflowers that are native to the region. These items are available for sale at the farm store which also operates a hearth bakery that specializes in rustic, organic breads and other homemade products. Conservation practices around the farm balance sustainable agriculture with a healthy environment. 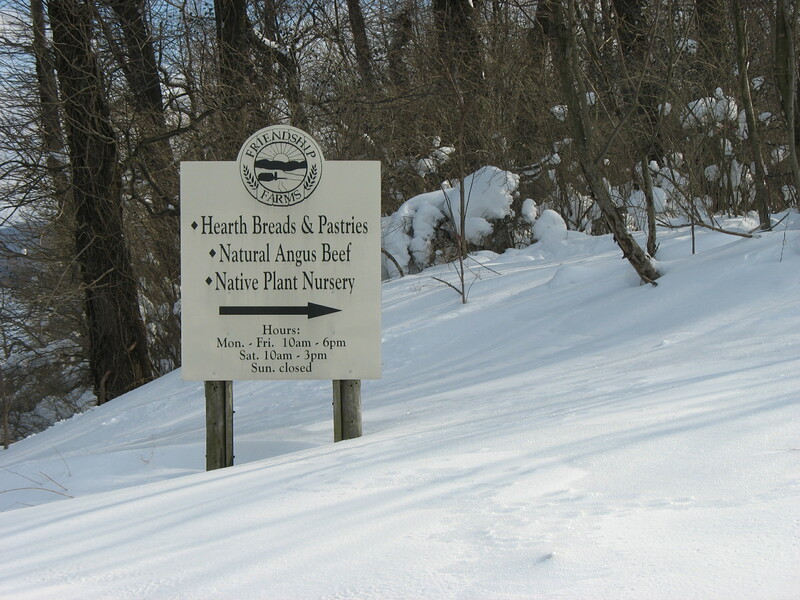 Visitors to the farm store are welcome to browse the nursery and garden center adjacent to the retail shop. Customers, especially children, enjoy the sights and sounds of a working farm. A true working family farm. 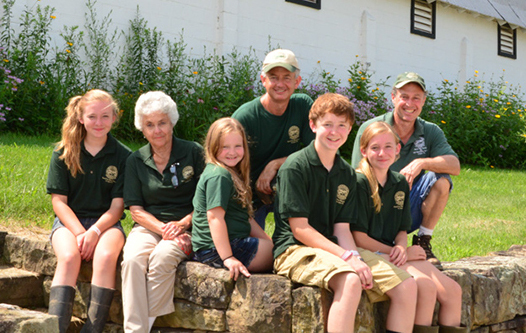 Three generations of the Costello family call Friendship Farms home. One of the things that makes our farm so unique is our philosophy of “farming with nature.” We blend our philosophy of protecting wildlife habitat with our daily agricultural practices. Thousands of feet of stream, pond and wetland borders are fenced out from livestock. Much of this land has been planted in native wildflowers, grasses, trees and shrubs. We welcome you to visit us and see for yourself!